After Match-Day 5 in the UEFA Champions League, 12 teams have now confirmed their participation in the next round of the competition. However, there are four more spots to play for on the last Match-day of this year’s group stages. Here is who has made it to the round of 16 so far and those still in contention for the final four spots. Following Wednesday’s results, both Atletico Madrid and Borrusia Dortmund sealed their spots in the round of 16 leaving Club Brugge to settle for the Europa League. Atletico defeated Monaco 2-0 at the Wanda Metropolitano thanks to goals from Koke and Antoine Griezmann to move to 12 points, two ahead of Dortmund in second place. The last games in the group will see Diego Simone’s side travel to Belgium to face Club Brugge while Dortmund takes on Monaco at the Stade Luis. The only thing left to play for in this group is who tops the standings. If Lucien Favre’s side better Atletico’s result on Match-Day six, they will top the group but all that Atletico require now is a win in their last game to ensure they win the group. Barcelona’s 2-1 win over PSV on Wednesday night ensured that the Catalans qualify for the next round top of the Group. However, second place is still up for grabs as Tottenham and Inter Milan are both locked on 7 points each. Spurs did themselves a huge favour by beating the Italians 1-0 in London yesterday thanks to a Christain Eriksen 80th minute strike. 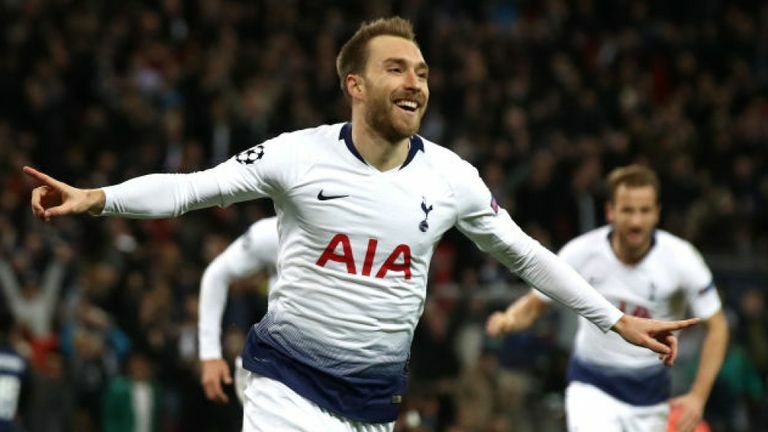 A win for Spurs away to Barcelona will see them through while Inter are now required to better the English side’s result if they are to make it to the next round as Maurico Pochettino’s side hold a better head to head record. PSV is out of contention as they sit bottom of the pile, six points behind third placed Inter. This is the only group in which every side heads into the final Match-Day with something to play for. Leaders Napoli who defeated Crvena Zvezda 3-1 on Wednesday go into the last game away to Liverpool needing only to avoid defeat to ensure progression to the next round. For Jurgen Klopp’s side, they are required to defeat Napoli 1-0 or by two clear goals in order to make it to the last 16. PSG, who are currently second in the group, only require a point away to Zvezda to ensure qualification after all, both Napoli and Liverpool cannot win on Match-Day six. 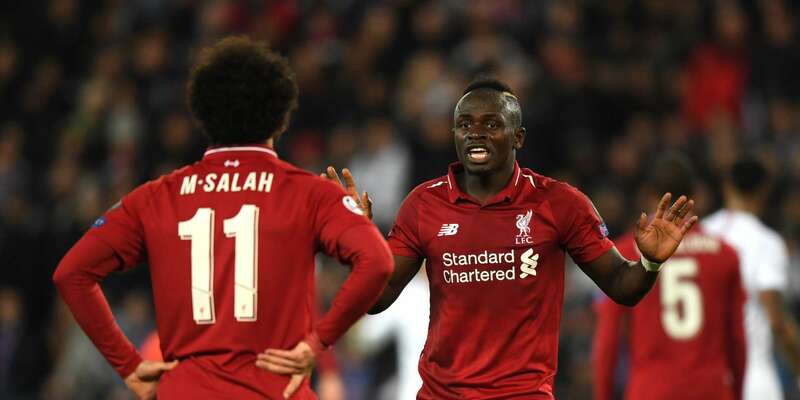 There opponents Zvezda are also still in contention for a Europa League spot as a win over PSG coupled by a defeat for Liverpool at home to Napoli would see the Serbs make it to Europe’s second lucrative competition. Like Group A, this one is also sorted in terms of who makes it to the next round. Porto ensured top spot on Wednesday thanks to a 3-1 win over Schalke while Galatasary also made it to the next round despite losing 2-0 away to Lokomotive Moscow on the same day. What is left to play for is the Europa League spot and it will be all fire-works when Schalke hosts Lokomotive Moscow next month. The Germans currently occupy third with four points, one head of Yury Semin’s side. All that Schalke needs is to avoid defeat at the VELTINS Arena so as to qualify for the Europa League knock-out stage. This one is also done and dusted in terms of who makes it to the next round. Bayern are currently top of the pile with 13 points following their 4-1 victory over Benfica on Tuesday. However, they will need to avoid defeat away to second placed Ajax who defeated AEK Athens 2-0, if they are to top the group. Ajax (11) head into next month’s game only two points behind Bayern (13) and a win over the Bavarrians will see Erik Ten Hag’s side finish in top spot. For the Europa League spot, it belongs to Benfica who have four more points than the winless AEK Athens. 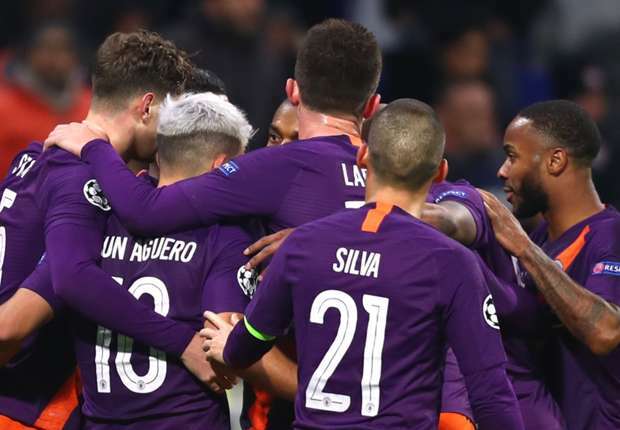 Manchester City ensured qualification from the group after drawing 2-2 away to Olympic Lyon on Tuesday. However, they still require a point in their last game at home to rooted-Hoffenheim so as to finish as group leaders. In this group, all eyes will be on the game between Shakhtar Donetsk and Lyon with second place up for grabs. Shakhtar’s thrilling 3-2 win over Hoffenheim on Tuesday means that the Ukrainian champions enter into the last game only two points behind second placed Lyon and a win over Bruno Genesio’s side will see them (Shakhter) finish second. However, if they lose and Hoffenheim defeats City, the Germans will make it to the Europa League while Paulo Fonseca’s side will have no more European football to play this season. Another permutation in the group will be who finishes top. If City lose to Hoffenheim and Lyon defeats Shakhter, the French side wins the group by virtual of a better head to head record. Like in both Group A and D, only the Europa League place is up for grabs in G too. With Real Madrid and Roma already into the round of 16, Viktoria Plzen and CSKA Moscow who are both tied on 4 points apiece will have third place in their sights come Match-Day six. Plzen will be required to match or better CSKA’s result next month to seal a Europa League spot as the Czechs hold a better head to head record on the Russians. Top spot in the group will go to Real following their 2-0 win over Roma in Rome on Tuesday. The result meant that Santiago Solari’s side now sit three points above Roma and with a 5-0 head to head advantage, no result can see the Los Blancos relinquish top spot. This one too is done and dusted and the only thing left to play for is who wins the Group. 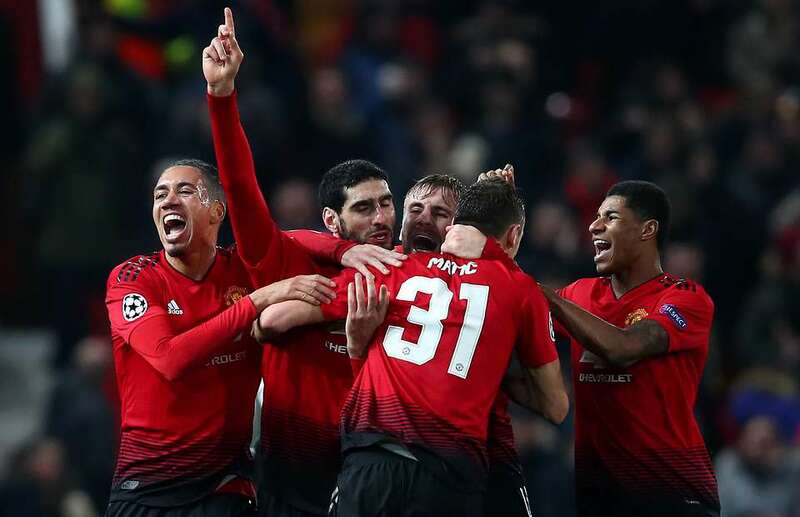 Bot Juventus who are currently top (12) and second placed Manchester United (10) defeated Valencia and Young Boys 1-0 in their respective Match-Day five fixtures to ensure qualification to the next round. Tuesday’s results also sealed Valencia’s Europa League spot as the Spanish side are currently four points ahead of Young Boys with only a single game to play. The finals games see Juventus travel to Young Boys while Valencia entertain Man United. The Old Lady are required to defeat Young Boys or better United’s result in Spain to ensure top spot in the group. If Juve draw at Young Boys and United defeat Valencia, Ronaldo and co will have to settle for second.